Her pseudonym is “Robert Galbraith”, and while she tried to keep it secret, JK Rowling couldn’t sustain it. 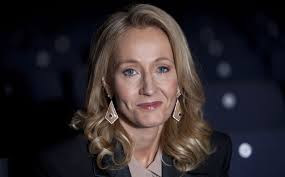 The Harry Potter author, was uncovered as the author of a new detective novel called “The Cuckoo’s Calling”. “The Cuckoo’s Calling” follows Cormoran Strike, a war veteran turned private eye who investigates the supposed suicide of a model.